I feel a lump on my breast, what could it be? 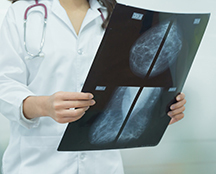 What is the difference between a screening mammography versus a diagnostic mammography? Which one should I have? My previous mammogram was reported as “dense breasts”, should I be concerned? What should I do? I have breast cancer, what are my treatment options? Can I keep my breast even if I have breast cancer? What is oncoplastic surgery? 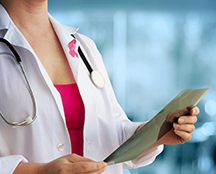 Learn about breast health and breast cancer, book a consult with our surgeons or schedule a mammogram or ultrasound. A first in the Philippines – a new and powerful machine that can detect breast cancer in patients with dense breasts. A first in the Philippines - Radiotherapy that offers an alternative to lengthy and inconvenient conventional radiation. Daily consultations are available with our internationally-trained and accredited Filipino breast surgeons. The Asian Breast Center offers breast cancer screening and diagnosis for detection of breast cancer. Our surgeons are experts in the fields of breast cancer surgery and plastic and reconstructive surgery. 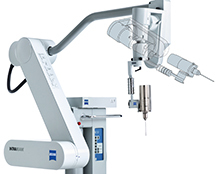 Learn more about this new and innovative radiation treatment. Our collaboration with Morristown Medical Center offers international care at affordable costs. Learn more about the newest diagnostic and treatment services offered in the Asian Breast Center. Learn more about the vision of ABC and the state of breast cancer in the Philippines. A step-by-step guide on how to perform a self-breast exam. For inquiries and booking requests, please fill up the form here.